Serving people of all ages with permanent disabilities requiring accessibility modifications to their home or apartment. Allegheny County Residents can apply for FREE accessibility modifications. CAAP empowers Community Action Agencies to solve community problems. CAAP is recognized by Pennsylvania's policy setting and legislative groups as the authority on issues of poverty, self-sufficiency, and community development. The Mon Yough Area Chamber of Commerce provides many valuable services and benefits for its membership. We envision a strong and influential organization, united as one voice, possessing maximum economic and legislative leverage compelling our political representation to respect, listen, and act, leading to the region being a community of choice when selecting a place to do business, work, live, study, visit and play. The Chamber is committed to restoring, sustaining and expanding the entire Mon Valley region’s prosperity by providing members a strong representative voice, business promotion & opportunity, purchasing advantage, business education, and information. All that we do is designed to offer members Competitive Advantage, Member Promotion, and a Regional Voice. needed. In short, We Serve. Members meet every 3rd Tuesday at T&D's at 6:00 p.m. Always looking for new members, come see what we are about. Join the Friends of the Library. Meetings are held the 2nd Thursday of the month and are open to everyone interested in supporting the library. We strive to build a strong coalition of providers that serve girls to address and remedy issues that face all girls in education, physical & mental health, violence & crime, and economics. Go Time Ministries holds other events throughout the year in Clairton including (but not limited to) cookouts, Vacation Bible School, Easter egg hunts, & off-site retreats and weekend camps. God Heals Ministries, Inc. - Healing for your community-one person at a time. Knows: Wounded people wound people...hurting people hurt people. Knows: The language of the broken, the hurting, the wounded, and the stuck. Stands: Ready to walk along side of the hurting people in our communities. Exposes: Lies and false beliefs and counters with the TRUTH. Teaches: Biblical truths and principles to dispel conflict. This appendix serves as a resource to the Know Your Rights Manual produced by the Juvenile Law Center and KidsVoice. KidsVoice has created this manual to aid in finding specific resources in Allegheny County. Open Your Heart to a Senior (www.openyourhearttoasenior.org) is an initiative funded by the United Way with a goal to match Allegheny County seniors in need of assistance with caring volunteers. Mission: To see that every student attending Clairton Schools are afforded the opportunity to become a successful member of society through mentoring, training support and positive reinforcement. Our mission is to serve as a bridge between the citizens of Clairton, the city government, and the many other organizations that have organized to reach and work with our city and its citizens. Our services address the fundamental needs of our client families, helping them to overcome obstacles and achieve stability. A Mon Valley affiliated program based in Clairton, PA, the objective of the Single-Mom Empowerment Program is to seek to refocus, redirect and renew principles that enhance a greater quality of life for single moms and their families. Best kept secret of great fishing and recreation on Peters Creek from South Park to Clairton! We are trying to get our membership to an all time high this year. So get out there and let everyone know!!! 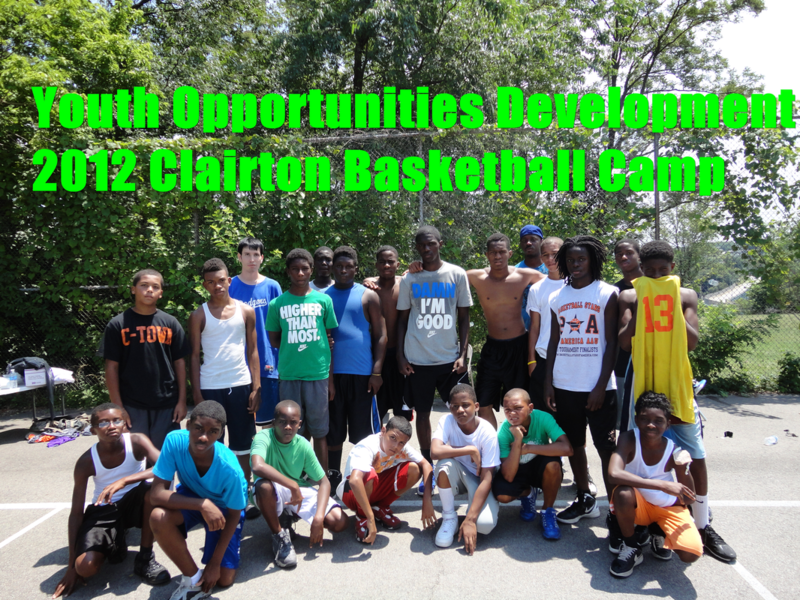 Mission: To promote unity within the community of Clairton and among its citizens. The WIC Program is a health and supplemental nutrition program for pregnant women; breastfeeding women up to 12 months postpartum; non-breastfeeding women up to 6 months post-partum; infants and children up to 5 years of age who have a medical/nutritional risk and meet financial eligibility criteria. Email us at staff@yodpa.org to introduce yourself to our staff members and include any comments/questions you may have. Please click on the download files below for more information on this organization. If you have a Facebook account, clicking on this picture will take you to the YOD site for more pictures and information.